Have You Hugged a Wildlife Rehabilitator Today? I used to really really really like thunderstorms. Thoroughly immersed myself in them. Unmitigated enjoyment. Drenching rain. Flash-count-Bang! And then of course I adopted a few animals who not only didn’t share my enthusiasm but who became downright terrified as the distant, pounding storms swept in. Somehow I managed to live 40-plus years not knowing that my favorite weather was so unpleasant for so many. The feeling now is far from exhilaration, but I do hold on to a thread of thunderstorm joy. Spring and summer are like that for many of the tens of thousands of people across the world who devote themselves to wildlife rehabilitation. Where once the arrival of these seasons carried wonder and adventure and unlimited possibility, their arrival now carries a very heavy weight. You see, spring and summer are the busy seasons for wildlife emergency professionals – and for domestic animal emergency personnel, as well. Babies are born. Wildlife is on the move. People are on the move, too – traveling, trimming trees, letting out the cats and dogs. This combination of activities bodes poorly for our wild friends. And for domestic animals, too. Take black-tailed prairie dogs, as a particularly poignant example. Each May or June, the juvenile males leave their coteries, in search of a new home. Prairie dogs used to move in synergy with bison, the woolly mammals grazing down grasses, the prairie dogs moving in, aerating the soil and enriching the plant life. And on and on it went. For thousands of years. Starting long before there was a May or a June. And then the West was “won.” And everything changed. The bison are gone, and prairie dog colonies now are mere relics of what they once were. Sliced and diced, fragmented and isolated by roads, malls and waaaaaaayyyyy too much land being used in what surely is the world’s most inefficient food system – raising crops to feed animals to feed people. What wasn’t lost is the ancient urge that compels juvenile black-tailed prairie dog males to move on. Off they go, into a hostile world. Some get lucky and find a new home. Many – most? – end up killed on roads, lost in labyrinthine subdivisions, or taken out by predators during their futile, exhausting search for a new place to call home. 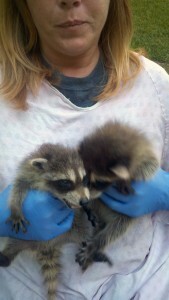 The ones who survive the car strikes or the days in a window well are taken to our friends, the wildlife rehabilitators. And the rehabilitators, if they have room and license, do their best to get the animals nursed and doctored back to health and eventually returned to the wild. Every time I see a hug-a-hunter television commercial, I think no, I’d rather hug a wildlife rehabilitator. These dedicated people are almost all volunteers. It’s illegal in fact to charge a fee to take an animal into rehabilitation. In all 50 states and DC, if I’m not mistaken. Some rehabilitation facilities are incorporated as nonprofits, which gives them a better chance to treat more animals and at least a decent chance at sustainability. 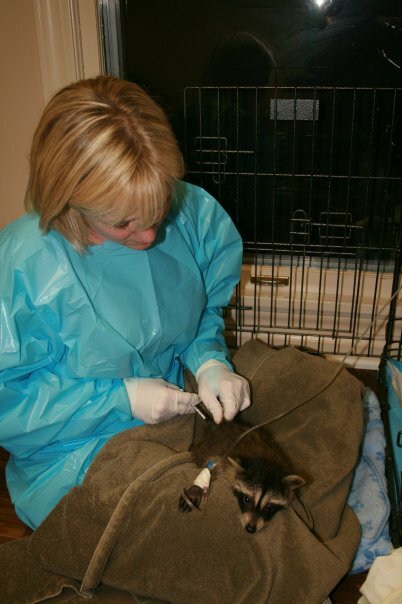 But most rehabilitators work at home, as volunteers, making themselves available to the public, but more importantly to the robins, the rabbits, the turtles and the raccoons whose very lives depend on these caregivers. And there are other unheralded helpers. 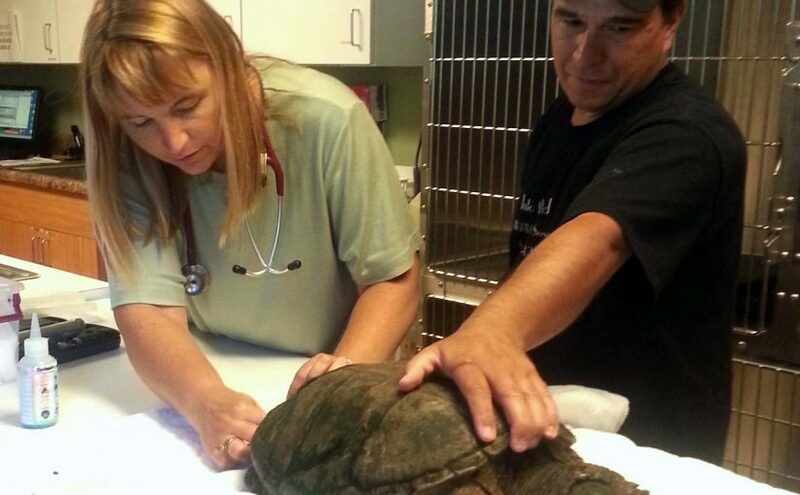 The veterinary professionals who allow injured wildlife to be brought to their clinics. The hotline volunteers, who go through training every year and do their best to help people who are dealing with wildlife emergencies. I suddenly realize I’m in over my head here. I can’t begin to tell you the trials endured by wildlife emergency professionals. Funding issues, space issues, zoning issues, come-get-this-animal-I-don’t-have-time-to-bring-him-to-you issues. Rehabilitators are the ones who administer the euthanasia fluid to the bat who just is not going to make it, to the broken winged goose, otherwise perfectly healthy, who according to state regulations must be killed because she will never fly again and can’t be returned to the wild. Rehabilitators are the ones who ensure the baby raccoons in their care get fed precisely every two hours, 24/7. The geese, the prairie dogs, the bats – they of course pay the ultimate price for this world made so hostile to them by human hands. But wildlife emergency professionals themselves pay a very high price. The unrelenting workload, the heartbreaking losses, and the ignorant or apathetic public. Of course it’s not lost on me that wildlife rehabilitators also get to see the best in people, and they get to observe, occasionally laugh at, and learn from their charges. And they get the satisfaction, certainly sometimes exhilaration, that accompanies the return home of a successfully rehabilitated animal. My hope for wildlife rehabilitators is that they feel appreciated for their work, that they see changes in society that indicate people are wanting to live more harmoniously with wildlife, that they train and pass on their knowledge to a successor, and that they forever hold on to at least a thread of the joy nearly all of us know or once knew with the coming of spring. In the meantime, enjoy the off-season, my friends. (I know, I know. You’ll be busy with related matters.) But thank you. Thank you, thank you for yet another job well done. Posted on September 23, 2015 Categories Emergency Services, WildlifeTags Gratitude, Injured Wildlife, Wildlife Rehabilitator2 Comments on Have You Hugged a Wildlife Rehabilitator Today?